478 Sq.Ft. 505 Sq.Ft. 645 Sq.Ft. 127 Sq.Ft. 123 Sq.Ft. 120 Sq.Ft. Adore Happy Homes Grand is an affordable housing society in sector 85, Greater Faridabad (Neharpar). This affordable housing project laucnhed by reptued builder "Adore Realtech". Adore Happy Homes Grand spread in 5.25 acres land and total no. of tower is 7 with S+14, S+12, S+8. Total no. 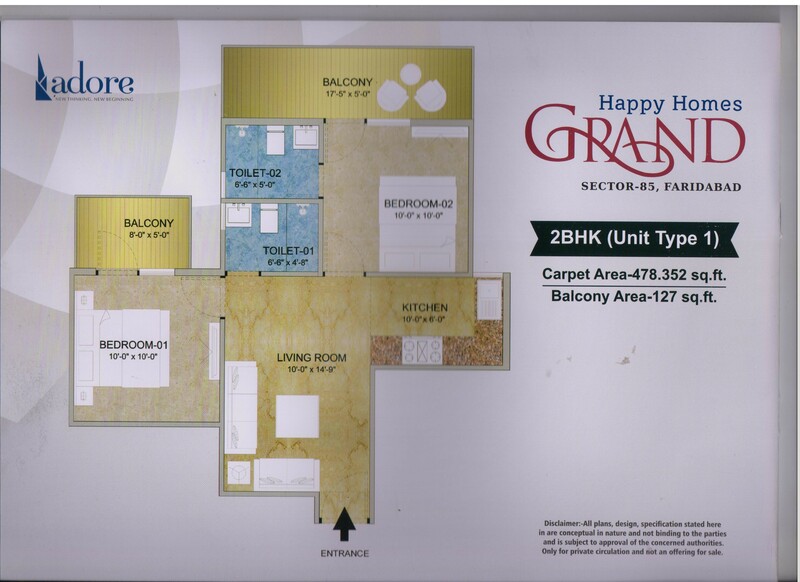 of Flats in Adore Happy Homes Grand is 728. 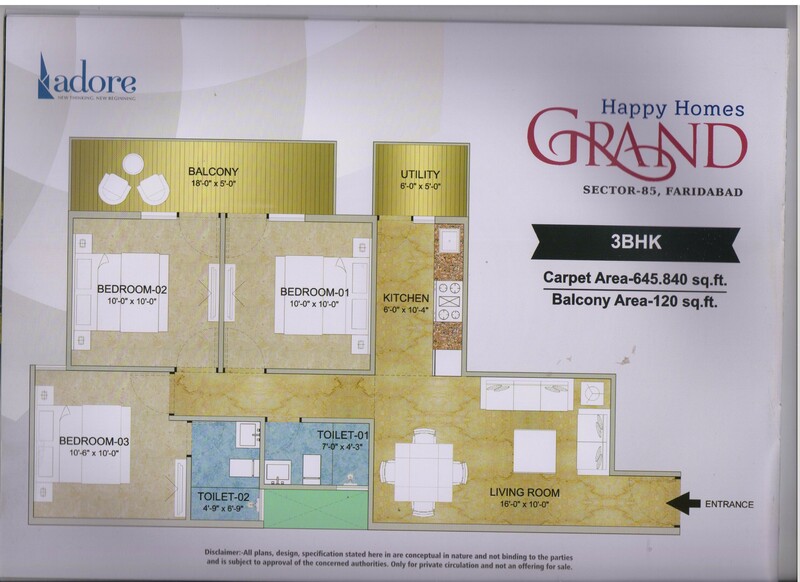 Adore Happy Homes Grand have two different types such as 2 Bhk and 3 Bhk. This project located at 45 meter sector road. 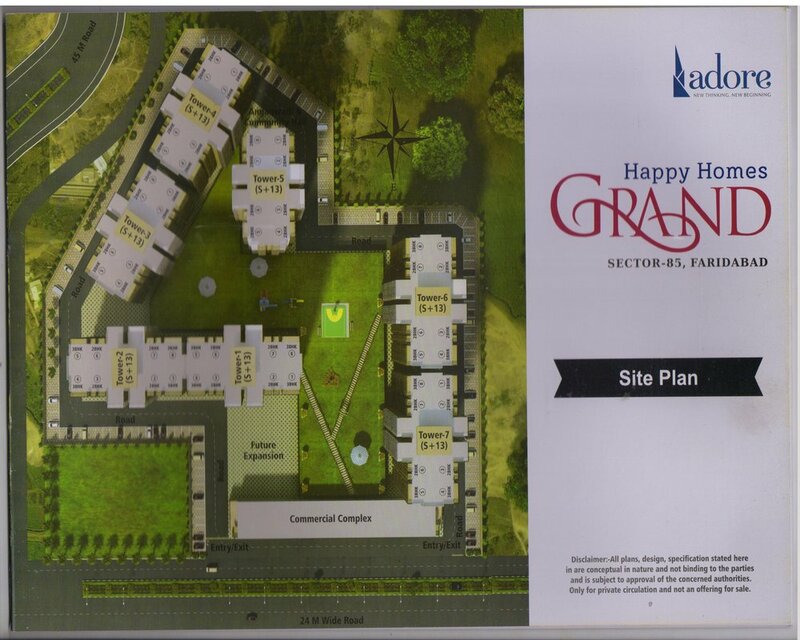 Adore Happy Homes Grand sizes start from 478 sq.ft. to 645 sq.ft. with 138 sq.ft, 111 sq.ft. & 120 sq.ft. balcony area. This affordable society located near to luxury apartment society like Puri Pranayam, Bptp Grandeura, Spr Imperial Estate and Bptp Elite Floors. 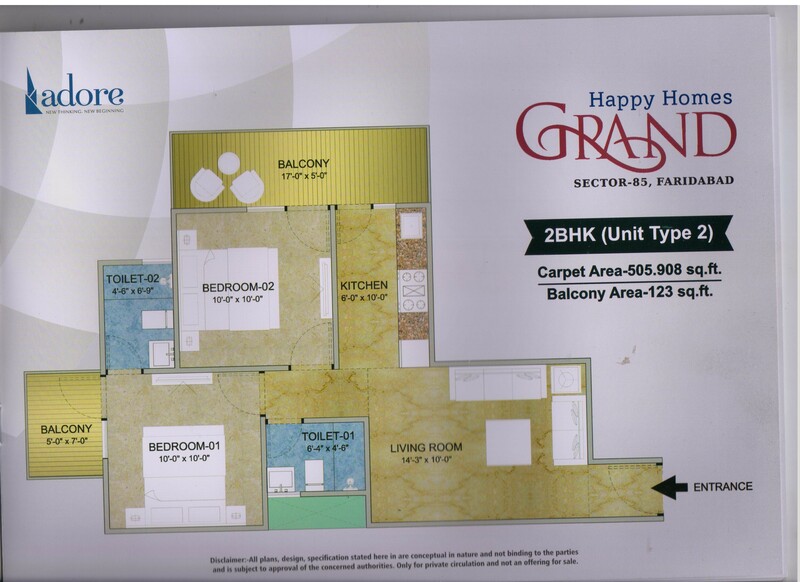 Adore Happy Homes Grand Price start from 19.63 lacs to 26.33 lacs depend flat sizes. This affordable society are in great demand because of it's connectivity and construction quality. Adore Happy Homes Grand building structure almost near to complete and tower 7,6,5 plaster almost done & finishing in full swing. 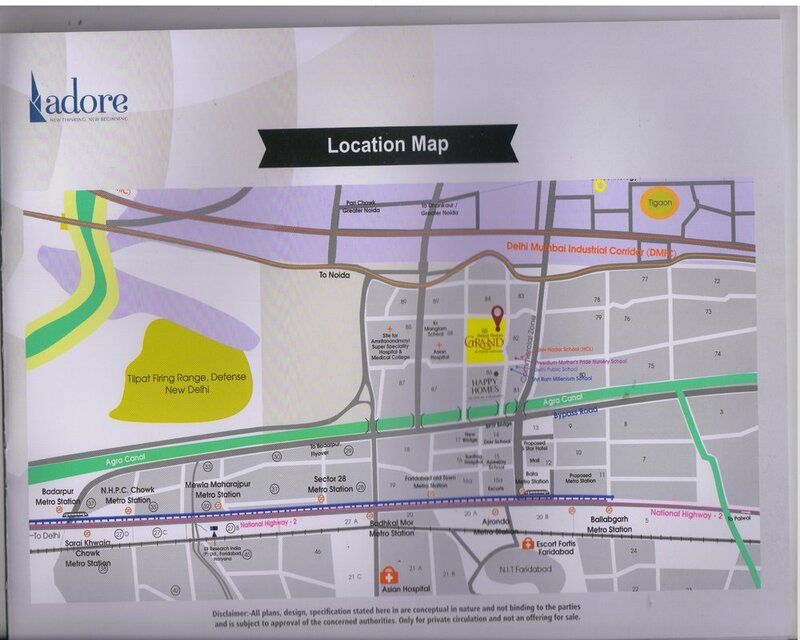 Adore Group possession of this project will be delivered in December 2019. Super Area 478 Sq.Ft. 505 Sq.Ft. 645 Sq.Ft. Copyright © 2017 www.happyhomesgrandfaridabad.in All rights reserved.